an emission intensity per unit GDP target of 33 to 35% below 2005 levels by 2030.
an increase of non-fossil fuels in its electrical mix to 40% installed capacity by 2030 with the help of transfer of technology and low cost international finance including from the Green Climate Fund (GCF). construction of 175 GW of new renewable energy generation by 2022 (of which 100GW will be solar and 60 GW will be wind energy, the remainder will be sourced from a combination of hydro and biofuels). an increase of forest and tree cover to create a carbon sink for 2.5 to 3 billion tons of CO2 by 2030. In addition to directly and dramatically curbing India’s emissions, the massive intended investments in renewable energy that India has begun mobilizing to reach its INDC targets are likely to be transformational to the global energy sector. The government estimates it will require an investment of US$2.5 trillion to meet the country’s climate change action under the INDC. Twenty two percent of the country (nearly 300 million people) has no electricity and bringing power to all Indians and all regions of the country is a major priority for Prime Minister Modi. Climate action is being deeply integrated into that priority. Sending a signal: The first act of the new government was to change the name of the Ministry of Environment and Forests to “Ministry of Environment, Forests and Climate Change,” which is a strong signal that the government is serious in addressing climate change. Raising the coal tax to fund clean energy: The country’s National Clean Energy Fund, now National Clean Environment Fund, has been primarily funded by a tax on coal. The previous government had set it at Rs. 50 (~US$0.80) per tonne. The Modi government initially increased the coal tax to Rs. 100 (~US$1.60) per tonne and then doubled the coal tax to Rs. 200 (~US$3.02) per tonne. For the 2016-17 budget, the Government increased the coal tax for a third time to Rs. 400 (~US$6), a 700% increase from the original tax. This tax will cover the majority of the budget allocation for the Ministry for New and Renewable Sources and will also be used for other environmental projects such as River Ganga cleanup. Setting an ambitious renewable energy target: India wowed the world by increasing its goal for renewable energy generation capacity four-fold, to reach 175GW by 2022. To meet this ambitious target the country would add 100GW of solar, 60GW of wind, 10GW of biomass, and 5GW of hydro. India is already the fourth largest global wind farm fleet (24GW) in the world, behind only China, the US, and Germany. The government envisages an investment of around US$150 billion in the sector over the next seven years. Solar for every home: The government has announced its intention to bring solar power to every home by 2019. The Modi administration is actively recruiting multi-billion dollar funds to finance this effort. Modi asked the Ministry of New and Renewable Energy (MNRE) to prepare an action plan to implement the 100GW by 2022 solar goal, which was officially approved by the Indian Cabinet in June 2015. This means that India is committing to build in the next seven years 5 times as much solar power as the U.S. has right now (~18 GW). The government estimates it will cost around Rs 6 trillion (~$90 billion). In last year’s budget, the government allocated Rs. 5 billion Rs (~US$81 million) to promote very large solar power plants and has sanctioned 33 solar parks with aggregate capacity of nearly 20GW. In May this year, installed solar capacity crossed 7GW and the government expects to reach 20GW by March 2017. Giving rooftop solar a push: The government has created a goal of building 40GW of rooftop solar power by 2022. To this end, it recently approved a scheme to provide a 30% subsidy for rooftop installations and other tax incentives. New installations of rooftop solar, currently at 525MW, grew by 66% in 2015 over the last year without any specific policy initiatives. However, a report by the Solar Rooftop Policy Coalition warns that India will reach just 13.5GW of its ambitious target. Drafting the 2015 National Renewable Energy Act: This act would coordinate the various energy policies under a single piece of legislation to streamline implementation and resource allocation. The draft recently concluded its public consultation period and is moving into review. In early September 2015, the government also formally approved the National Offshore Wind Energy Policy, opening about 4,700 miles of coastline for development of offshore wind energy blocks. Slashing its carbon intensity: India currently has a 2009 commitment to reduce the emissions intensity of its GDP by 20–25% from 2005 levels by 2020. In India’s INDC the country announced that it will increase its energy intensity reduction target to between 33% – 35% from 2005 levels by 2030. Investing in clean power: In November 2014, India’s Power Minister Piyush Goyal, speaking at the India Economic Summit, identified clean power as a “huge investment opportunity.” He called for nearly US$250 billion to be invested in the energy sector over the next four to five years – including US$100 billion in renewables and US$50 billion in transmission and distribution. In the 2016-17 budget, the government has also slashed the 80% accelerated depreciation allowance for renewable energy investments to 40% in order to create a level playing field between Indian firms and international companies who cannot claim that benefit. The state and market reforms and an increased call for foreign investment have catapulted India to the number three spot in EY’s September 2015 renewable energy country attractiveness investment index, bumping Germany to number four. EY reports that planned foreign investment for India’s renewable sector is estimated to be in the vicinity of US$300 billion over the next 10 years. Initiating a global solar alliance: India led the formation of the International Solar Energy Alliance, aimed at boosting solar energy in developing countries. The alliance includes 120 countries and was launched by India and France at COP21. Previewing the end of coal imports: Power Minister Goyal has said he plans for India to cease importing thermal coal within 2-3 years. Goyal cited distributed solar, microgrids, wind farms, energy efficiency, grid efficiency, plus domestic coal and hydro as the preferred domestic solutions. Recent data suggests that Indian coal imports fell by 15% from April to the end of 2015, due to higher domestic coal production and lower demand by thermal coal power plants. This looks like a historic turning point from the annual 20-30% year-on-year growth in coal imports over the prior six years, suggesting that India reached a peak in coal imports in mid-2015. Investing in efficient LEDS: The government has launched a nationwide program to distribute two super energy-efficient LED lights per house at a highly subsidized price of 130 Rs (~US$2.10) per LED (the market price is roughly 600 Rs (~US$9.75) for a LED). The cost of each LED will be deducted from consumers’ electricity bills over a period of 12 months. The program will be implemented in phases, with 100 cities covered by March 2016. Given India’s population of 1.2 billion, with 247 million homes (as of 2011), the cumulative effect will be substantial. Stricter norms for thermal power plants: On December 22, 2015, the government revised pollution standards for coal-based thermal power plants to curb emissions from particulate matter, sulfur dioxide and nitrogen oxides. Shutting down coal-fired power plants: The Central Electricity Authority announced in May plans to shut down 37 GW of aging coal-fired power plants in a bid to reduce emissions. The more efficient, supercritical units will replace these power plants at the same location. Encouraging electric vehicles: In the 2015 Union Budget, the government launched a new program called the “Faster Adoption and Manufacturing of Electric Vehicles” (FAME) with an initial budget of Rs 750 million. Energy minister Piyush Goyal also recently announced that the government is working on a plan to transition to 100% electric vehicles by 2030. Reforming transmission and distribution: The government launched a new program called Ujwal DISCOM Assurance Yojna, or UDAY, that seeks to revive state power distribution companies (DISCOMS), many of which are under extreme financial duress. According to Piyush Goyal, Minister for Power, Coal, New and Renewable energy, UDAY will bring down the cost of power, coal and renewable energy by about Rs 1.8 trillion (US$26.8 million) every year by 2019. Supporting adaptation efforts: In July 2015, the government announced the creation of a National Adaptation Fund to address the impacts of climate change, with a focus on agriculture and an initial capitalization of $18.5 million. To date, Detailed Project Reports (DPRs) on adaptation efforts for 11 state governments have been approved. Expanding afforestation: The Modi government has introduced a plan to improve forest management and monitoring. The government will allocate approximately $6 billion for aggressive afforestation. However, the government has been critiqued, like the previous government, for diluting the Forest Rights Act and usurping rights of the tribal people. Climate change missions: In the last one year, Modi has approved four new climate change “missions” for the Indian government — on wind energy, coastal zone management, health and waste-to-energy — to strengthen India’s response to climate change. Increasing their commitment to global climate cooperation: Modi agreed to talks under the Montreal Protocol to phase down HFCs, a super-potent warming pollutant. In April 2015, they went a step further in by formally submitting a proposal to amend the Protocol to cover these pollutants. 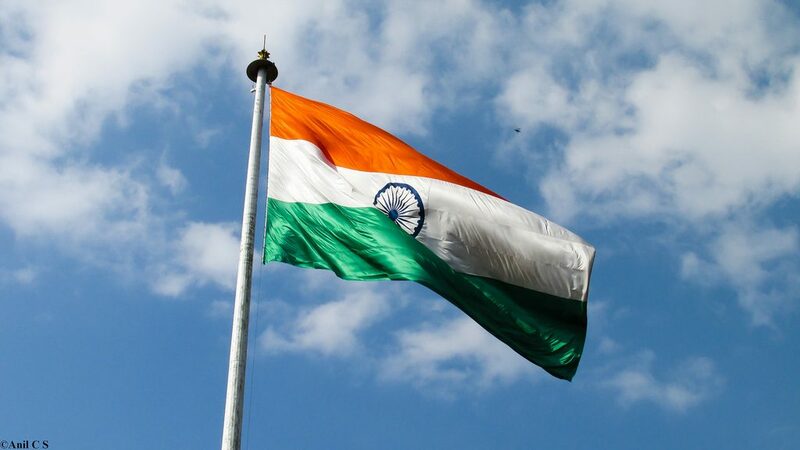 The Modi administration dropped plans held by the prior Indian administration to impose anti-dumping tariffs on imports of solar panels, potentially averting a showdown with other countries at the WTO. Joint US-India climate and energy actions: When India hosted the United States for the January 2015 Republic Day celebrations, the US and India brokered a number of joint actions on pollution monitoring, climate change and clean energy, including expanding the Partnership to Advance Clean Energy Research (PACE-R) and Deployment (PACE-D). The two countries also brokered an agreement between the Indian Renewable Energy Development Agency Ltd. and the Export-Import Bank of the United States, which would make available up to US$1 billion in financing to facilitate expanded cooperation and enhance U.S. private sector investment in Indian clean energy projects. The US also agreed to assist India in launching an Air Quality Cooperation program, implementing EPA’s AIR Now-International Program and megacities partnerships, focused on disseminating information to help the urban dwellers to reduce their exposure to harmful levels of air pollution. Rounding out the slate of actions the US agreed to work with India to develop tools for assessing and mapping climate resiliency needs across India. In addition to action by the Modi government, many other subnational developments illustrate how India is quickly moving to a clean energy future. Notable examples include Delhi’s plan to pave the way for widespread rooftop solar installation. Analysts have shown that there are numerous pathways the country can take to decarbonize while meeting its development goals.